By Jordan Halpern (Feature Correspondent). Sharon High School has implemented the new and innovative “Maker Space” for students with specialized interests to explore their passions. Numerous grants have been awarded in order to advance the space technologically and experimentally in order to promote independent learning. “I personally have always been fascinated by the creative process in learning, so I love the idea of an independent learning zone,” Ms. Collins said. The primary goal of the maker space is to form a physical location where people gather to share resources and knowledge, work on projects, network, and build. Students have ready access to the new technology including a 2-D imager, 3-D printer, and electrical equipment kits. Many students have already utilized the opportunity to operate within the Maker Space. Members of the tech innovators club and library help desk have tampered with the new techniques and exclusive technology. “It’s all about learning as we go. It’s really about working as a team and the joy of learning,” Collins stated. Those who have already been toying with new technology and generated original content will act as mentors for the students interested in testing the area. Future collaboration with teachers may soon allow students at Sharon High to learn in the space during class time. “Part of supporting its use includes creating directions so that other students can eventually use the equipment independently,” Newman added. She, Collins, and the help desk students have recently be presented as a team at MassCUE, a grand scale technology conference that promotes an innovative, strategic vision of the future of educational technology. By taking and exchanging these ingenious ideas, the Maker Space will soon reach its peak at the high school. 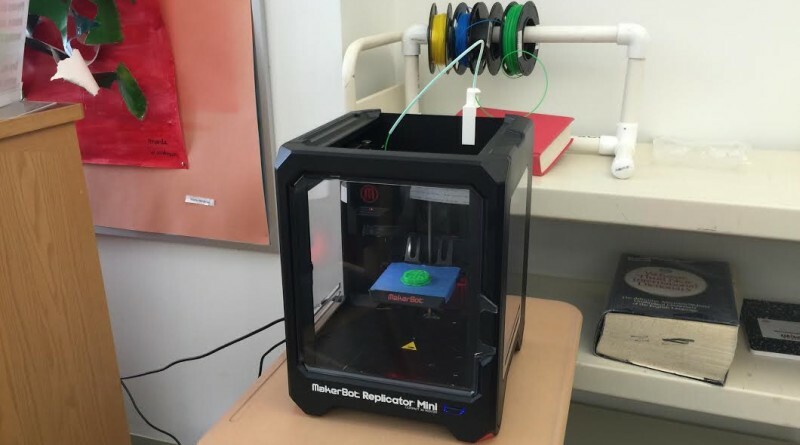 The Sharon High School Maker space has become a safe space that promotes individual learning. Much is to come for the area, and many new passions will soon be able to be discovered.